If you are new in using Credit Card, You need to understand how it works. The first thing you need to know is your payment cut off. Payment cutoff date is important because everything you buy through your credit card before this cut off dates is the amount that you need to pay as soon as possible after the cutoff date. However credit card user are given a grace period, which is about 20 days, but it depends on your credit company. If you pay in time you will not be charge of any interest on the amount that you use before the cut off date. However if you fail to remember your payment deadline, head ache starts because you need to pay late payment fee plus the charge of being late. So credit card is good if you will be able to pay on time and use it only during emergency. But do not treat every time you see a sale on mall or online purchasing as emergency. If you make it a habit to be an impulsive buyer, trust you will be having lots of debt from your credit card company. I use my credit card for my online business and other payment that involves monthly payment. I would like to share on how I am reminding myself not to forget about my payment deadline for my credit card payment. Actually it is easy, the moment that I received my monthly bills, I make sure I will open my Google Calendar and put all the payment details on a particular date. Then I am turning the option of Google Calendar to notify me through text message about my deadline at least 5 years before my payment date. In this regard I have my enough time to go to bank or pay online not to have a late charge fee. I believe it’s a great tool to be reminded, busy people tend to forget payment deadline and result to fee. I would rather buy a great dinner than to pay fee because of negligence. The Consumer Credit Directive, set to take effect on the 1st February 2011, is a new set of rules designed to make things clearer for borrowers. However, some experts have noted that it could actually lead to an increase costs and in some cases make things more confusing. The new rules will oblige lenders to provide prospective borrowers with more detailed information on credit products, including the long-term costs and the consequences of failing to keep up with repayments. Lenders will also have to inform people if their application for credit has been rejected due to information received from a credit reference agency. There will also be changes to the way APR is advertised. Currently, lenders must advertise the ‘typical’ APR on all their products – defined as the rate that at least 66% of customers are offered. But from February, lenders will have to advertise the ‘representative’ APR – the rate that at least 51% of customers receive. This potentially means that fewer people will have access to the rate advertised. Lenders will also be made to carry out more detailed credit checks on all credit applicants. But experts have suggested that the increased cost to the lender of carrying out these checks, combined with the additional information they must provide, could ultimately be passed onto consumers in the form of higher interest rates. A credit cards expert at Think Money (www.thinkmoney.com) said: “Credit card providers have to include their typical APR on their advertising, but many people don’t realise that this isn’t the rate everyone receives. The actual rate offered can depend on a number of factors, including the borrower’s credit rating. What is the best Credit Card ? I don’t think there is a best credit card, every credit card has it’s strength and weakness. Every Credit card promises good things, but i think it all depends on users. The user should know how to use the credit card properly. By avoiding late penalties, through paying on time. Credit card is a best source of capital if you have a business, money from credit card can be used without interest if done properly. But be careful improper use of credit could also ruin your business. Just want to ask our readers. What Do You think is the best Credit Card ? Visa, Master Card, JBC or any other card available in the market. Which card gives great freebies or rebates based on your experience. This will help other people who are looking for information about Credit Card. We hope to get feedback from our readers. I do have both VISA and Master Card and both of them have their own strength and advantages. Credit Card Cash Advance is possible for every credit card, however there is a certain limitation in each account. It all depends on your credit rating with the bank, if you are a good payer then there is good a chance that they will give you a higher percentage based on your credit limit. Please be reminded that when you make a Credit Card Cash Advance, you will be entitled to an automatic Credit Card Cash Advance Fee. Based on experience, It is not advisable to have cash advance from Credit Card, it is wise to just use your credit card in your purchase instead of using your credit card for cash advance. The Federal Reserve Board on Tuesday approved a final rule to protect credit card users from unreasonable late payment and other penalty fees and to require credit card issuers to reconsider interest rate increases imposed since the beginning of last year. Prohibits credit card issuers from charging a penalty fee of more than $25 for paying late or otherwise violating the account’s terms unless the consumer has engaged in repeated violations or the issuer can show that a higher fee represents a reasonable proportion of the costs it incurs as a result of violations. Prohibits credit card issuers from charging penalty fees that exceed the dollar amount associated with the consumer’s violation. For example, card issuers will no longer be permitted to charge a $39 fee when a consumer is late making a $20 minimum payment. Instead, the fee cannot exceed $20. Bans “inactivity” fees, such as fees based on the consumer’s failure to use the account to make new purchases. The final rule represents the third stage of the Federal Reserve’s implementation of the Credit Card Accountability Responsibility and Disclosure Act of 2009, which was enacted in May 2009. The provisions of the Act addressed in this rule will generally go into effect on August 22, 2010. The notice that will be published in the Federal Register is attached. Consumers can learn more about changes to their credit card accounts by accessing a new online publication, “What You Need to Know: New Credit Card Rules Effective Aug. 22.” It explains key changes consumers can expect from their credit card companies as a result of the third phase of the new credit card rules. 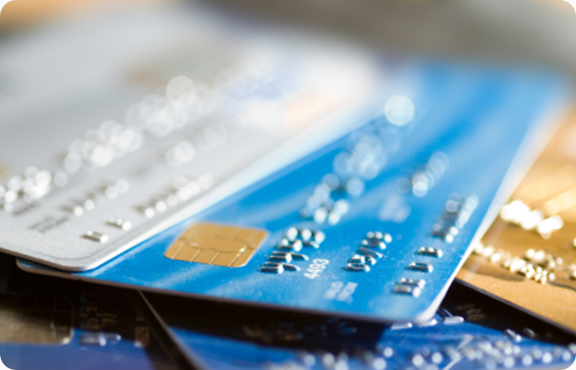 Additional information about credit cards can be found on the Board’s website at: http://www.federalreserve.gov/creditcard/. Credit Card Fraud during Black Friday 2011 is increasing so we need to make sure that whenever we give our credit card details in any website, we make sure that the site is legitimate. There are always an option to claim for back charge but it will go to an endless dispute of two parties. I would suggest making sure that the site is legitimate and make sure that the site has been there for a long time. Publicly recognized site, Try to Google the site before giving your credit card details. What we don’t want to happen is instead of having a great discount using different Black Friday 2011 Deals, we will get a non delivery. So be very careful. Don’t order through the email that you are receiving, they might have cloak links that will lead to a bad site. Beware of different scam during Black Friday and Cyber Monday Deal 2011. This is good for credit card owners but not good for marketers, specially if there are crooks that they only want to get something from buyers and issues chargeback. There are also what they called chargeback fraud. Which could be a nightmare of a seller. Welcome to all our visitors, This site will give you information about Credit Cards and it’s usage, and all information that will help you maintain your credit card. Information will be worldwide because we will try to cover differ countries Credit Card System, like Philippines, Saudi Arabia, United Staes, UK, India, Pakistan and other places. You will also see information about different banks that are dealing with credit cards. Master card, Visa, American Express etc.. are just type of Credit Card that will be discussed in this blog. © 2019. Credit Card Informations. All rights reserved. Powered by WordPress & SimpleX theme.